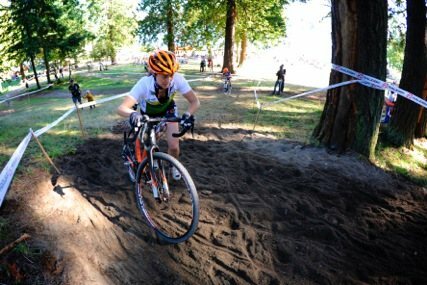 Washington’s MFG Cyclocross wrapped up its 2018 season at Seattle’s Woodland Park. 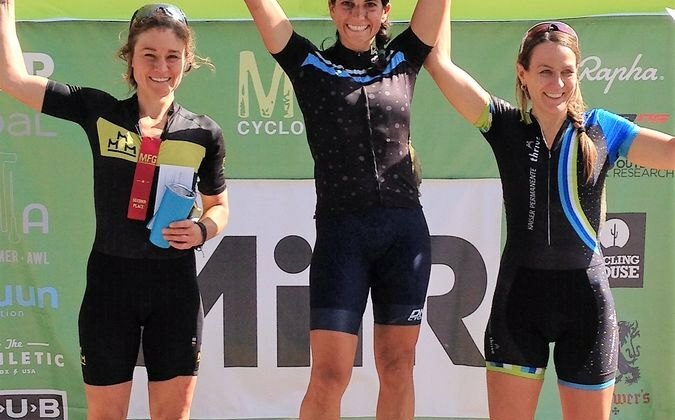 Get the story and series winners in this local race report. 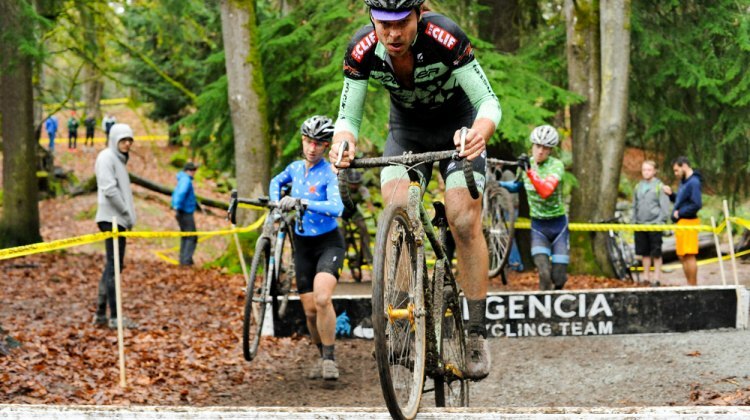 Washington’s MFG Cyclocross #5 saw a dominant performance by a national champ and a David v. Goliath affair. 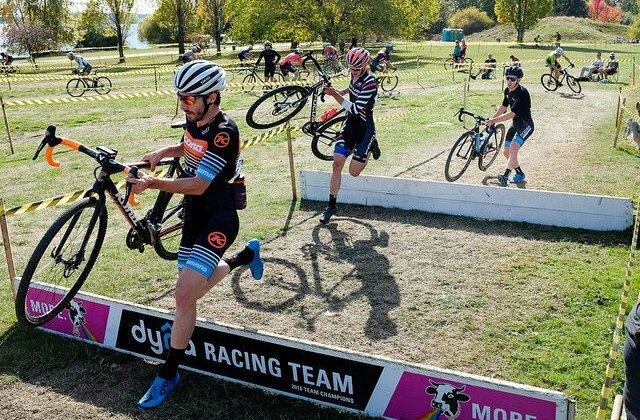 Get the story in this local race report. 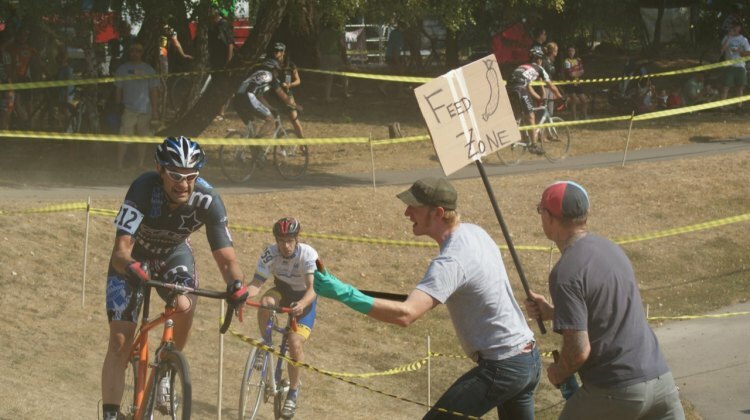 MFG Cyclocross #4 at Magnuson Park had a festive October afternoon feel. Mindy McCutcheon and Spencer Paxson took home Elite wins. 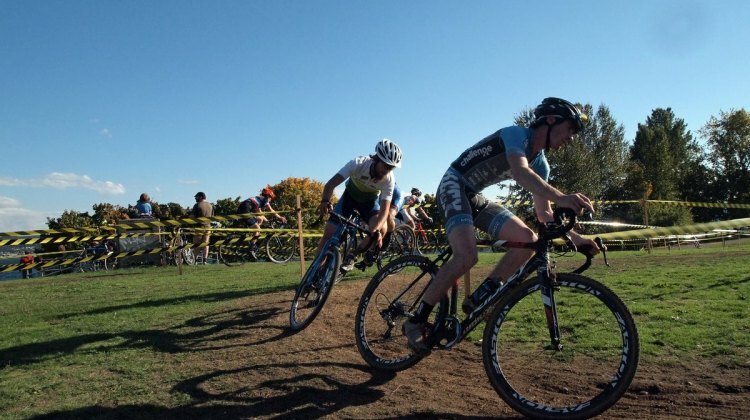 The MFG Cyclocross series in Washington headed to Ft. Steilacoom Park for a 2019 U.S. Cyclocross Nationals preview. Steve Fisher and Anna Megale took wins. 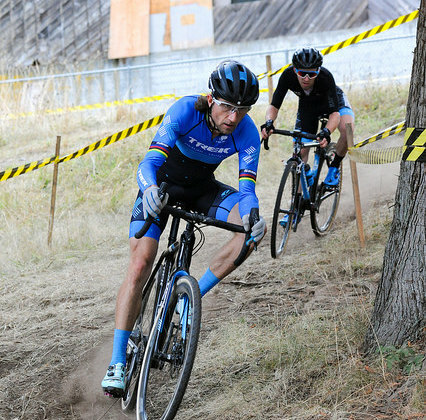 The finale of the 2017 MFG Cyclocross Series was at Woodland Park. 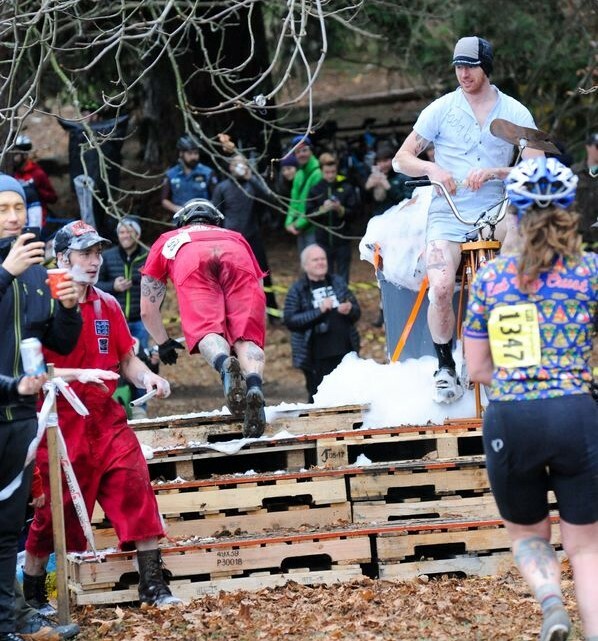 There was foam and fun to go with Elite wins from Steve Fisher and Heidi Franz. 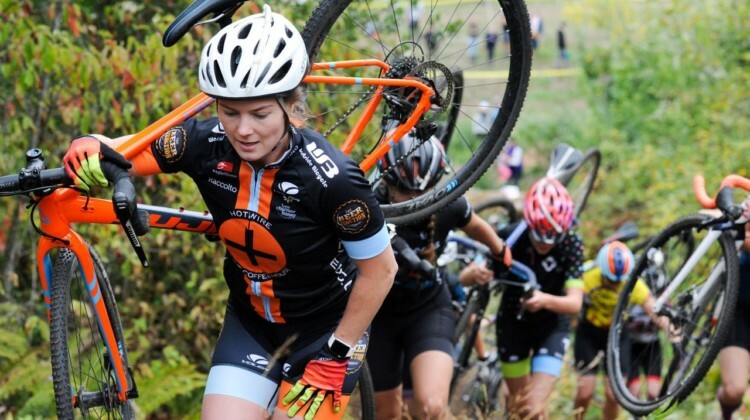 Get the story in this local race report. 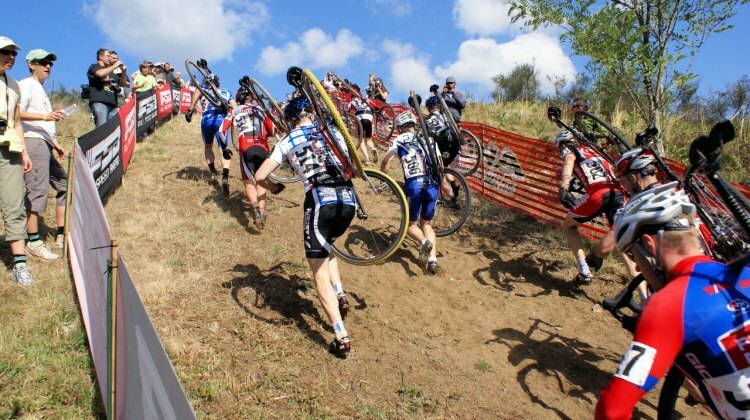 The Hodala cyclocross team brought fun to the MFG Cyclocross season finale in the form of a giant foam pit. 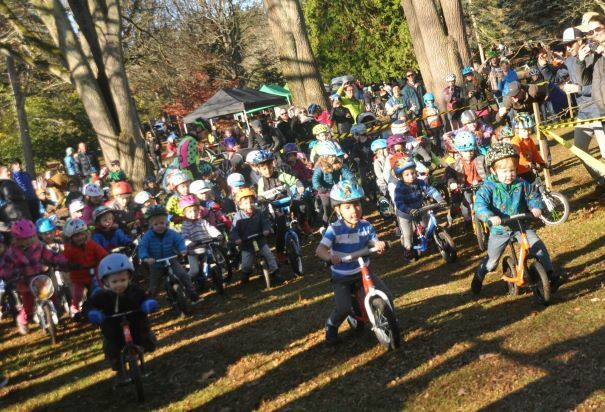 This local report has a gallery of photos from the fun shenanigans. 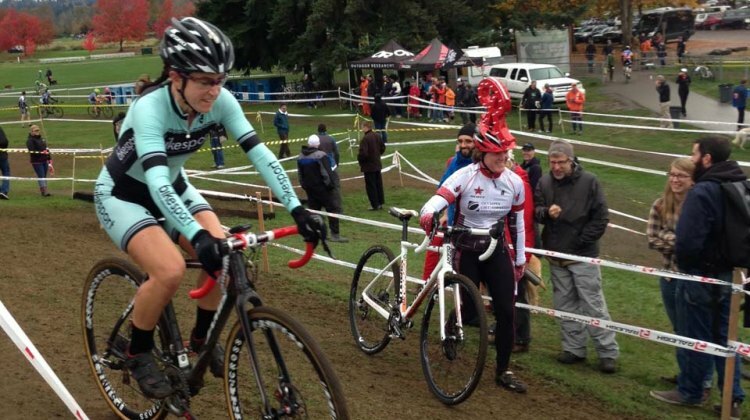 MFG Cyclocross #5: Does Rain or Snow Make Better Mud? MFG Cyclocross #5 got some snowy weather to start the November racing. 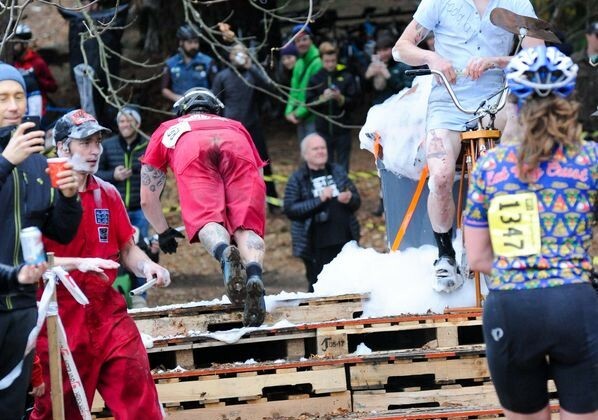 This local race report has all the snowy details from Washington state. 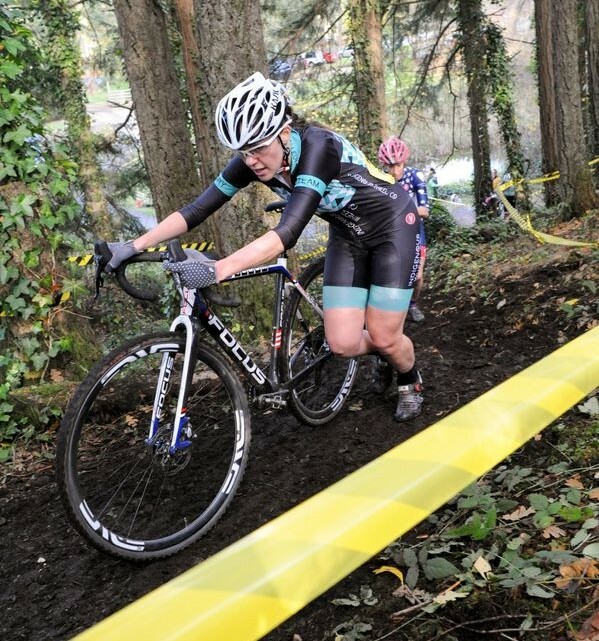 Washinton’s MFG Cyclocross series continued with the fourth series race at Magnuson Park this past weekend. Steve Fisher and Monica Lloyd took the wins in the Elite races. 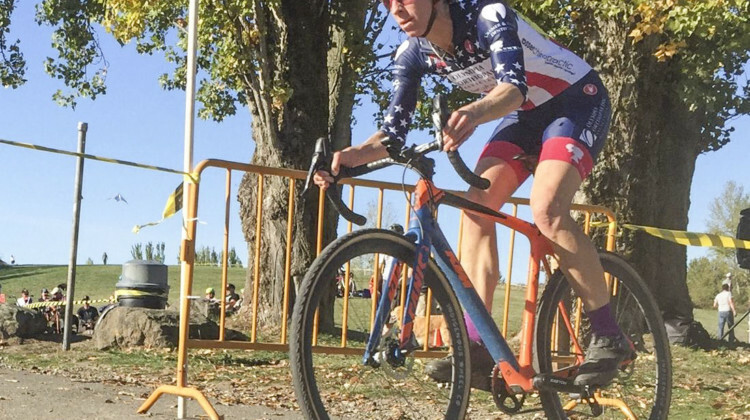 Russell Stevenson and Tricia Fleischer took the wins at MFG Cyclocross #3 named in honor of Tall Tyler Smith. Race report and photos. 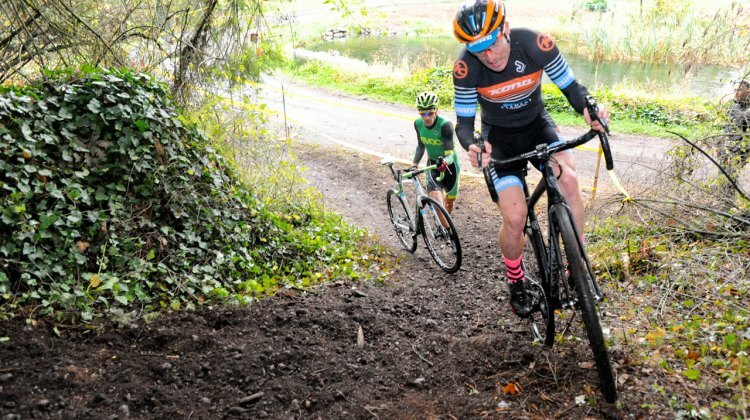 Courtenay McFadden and Steve Fisher took home wins at the very sandy MFG Cyclocross Lake Sammamish GP last weekend outside Seattle. We spoke with USA Cycling’s VP of National Events Micah Rice about decision to move Cyclocross Nationals back to December, selecting Louisville and Tacoma, losing money on the event, and more. 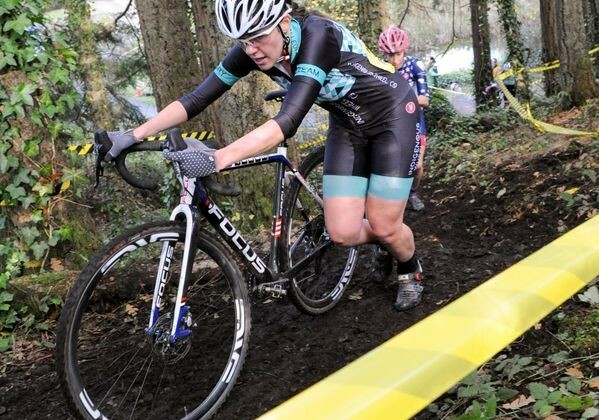 Marymoor delivered yet another exciting day of racing at stop #2 of the MFG Cyclocross Series. 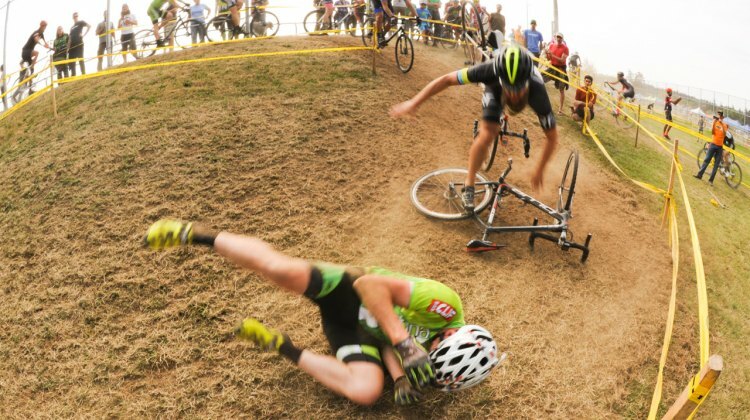 Crashes amongst the top runners help decide the podium for the elite men’s and women’s races. 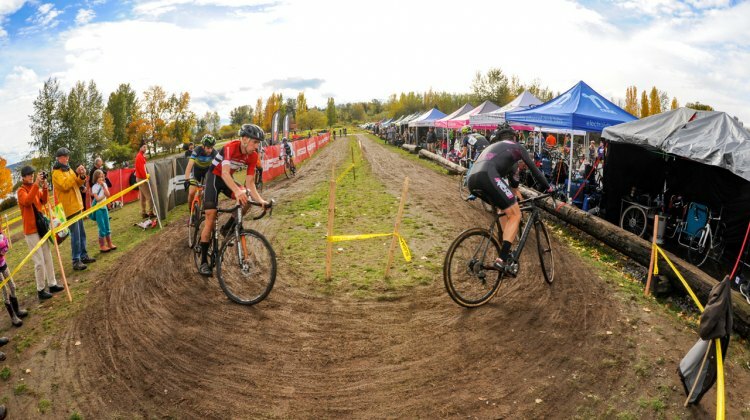 Seattle, Washington”s MFG Cyclocross has released its series dates and announced a new title sponsor for its six-race schedule. 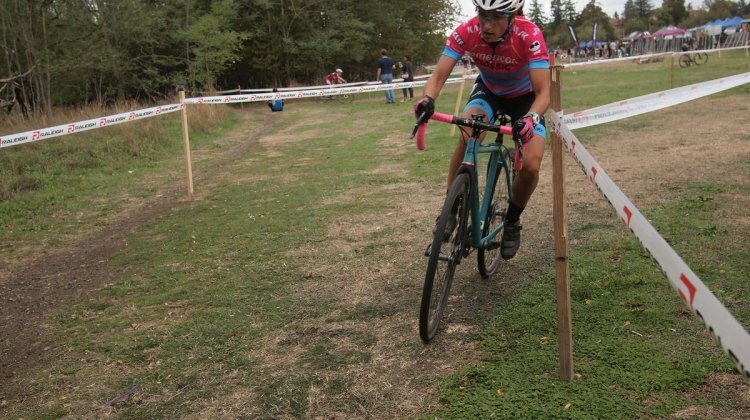 UCI level racing returned the Pacific Northwest on Saturday with day one of the Subaru Cyclo Cup, held at Ft. Steilacoom Park in Lakewood Washington. 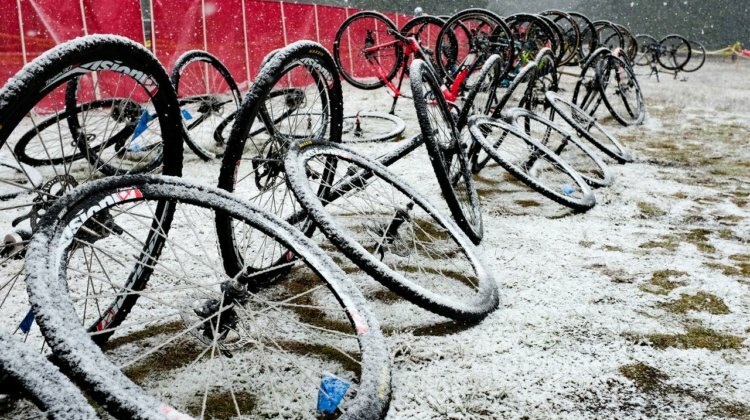 Mother Nature wanted to have her say today as racers lined up for the first MFG Series race in Kirkland, WA. 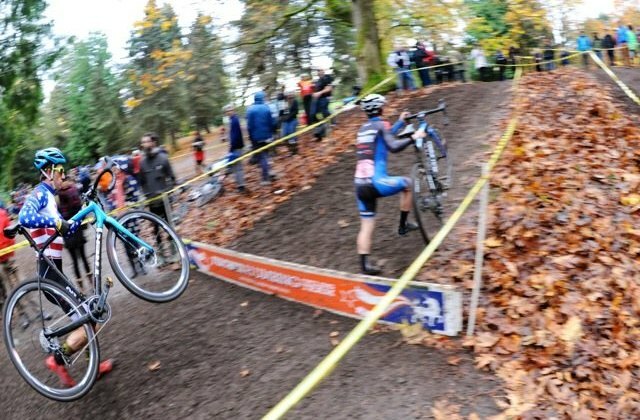 Big Finn Hill park, for the second year in a row, played host to the Kick Off Cross race delivered by Cycle University. Unseasonably warm weather, or a late summer as some would say, left the race course with burn-out grass and had racers churning up dust from the opening gun. Seattle, WA — Low Pressure Promotions, LLC announced the details of the 2011 MFG Cyclocross schedule at its world headquarters in the Fremont neighborhood of Seattle, WA today. 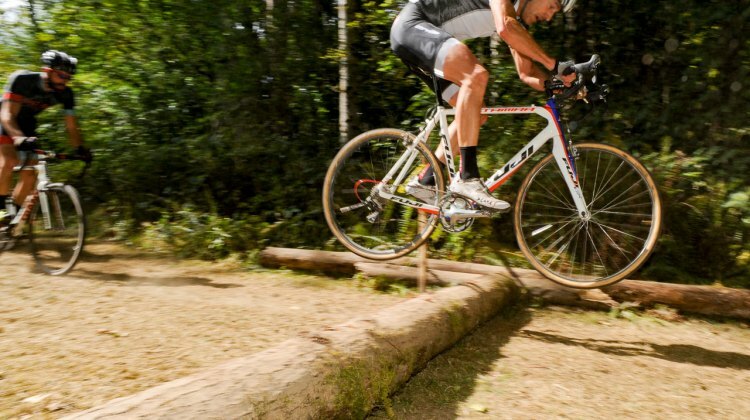 MFG Cyclocross is presented by Raleigh Bicycles for 2011 and will consist of six races beginning in September and will conclude on November 13th at the 3rd Annual Woodland Park Gran Prix. Seattle, WA – August 5th, 2011 — Low Pressure Promotions, LLC of Seattle, WA released the details to StarCrossed presented by Stanley, a brand of PMI today, with an event date confirmed for Saturday, September 17th, 2011 at Lake Sammamish State Park in Issaquah, WA. 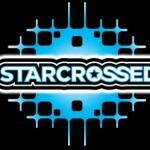 Registration opens Monday August 8th, 2011 on BikeReg.com.